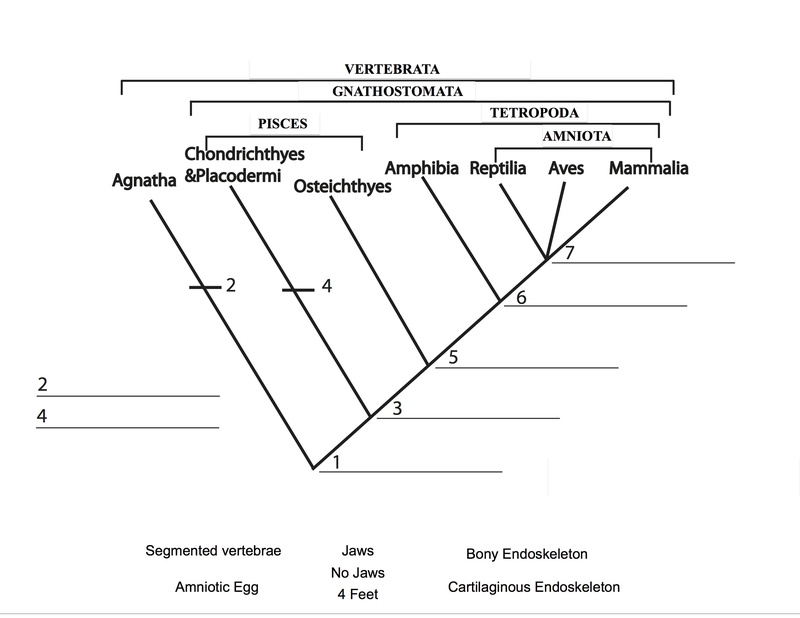 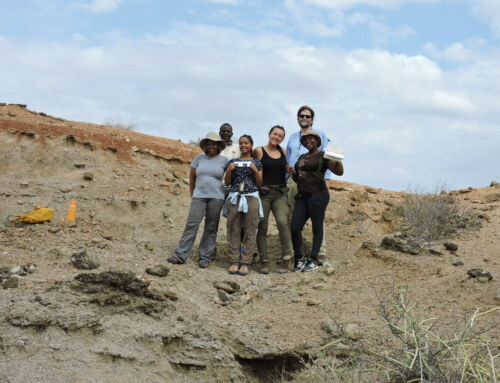 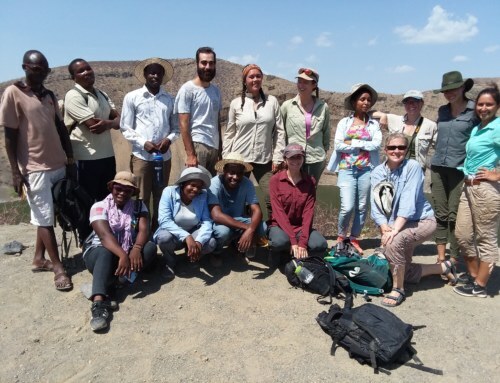 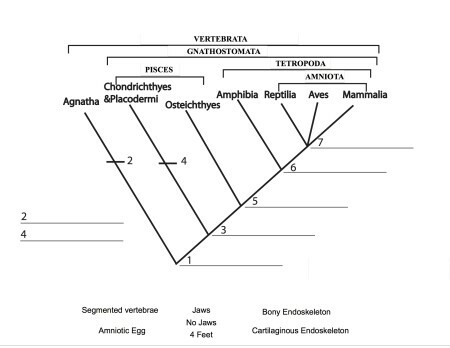 The Vertebrate Paleontology & Paleoecology Module began last week under the instruction of paleontologist Dr. Mikael Fortelius from the University of Helsinki. 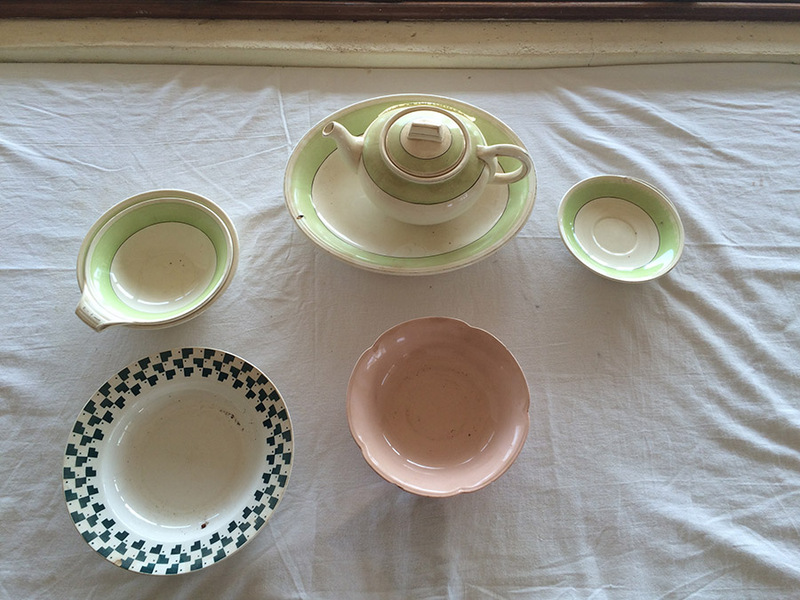 After an introductory lecture on processes that affect the preservation of organisms and their traces, we set out to unearth crockery that was buried within the TBI facility. 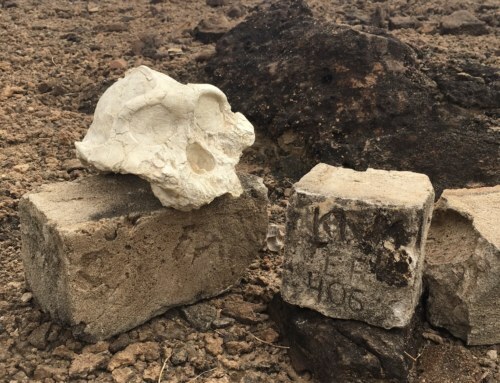 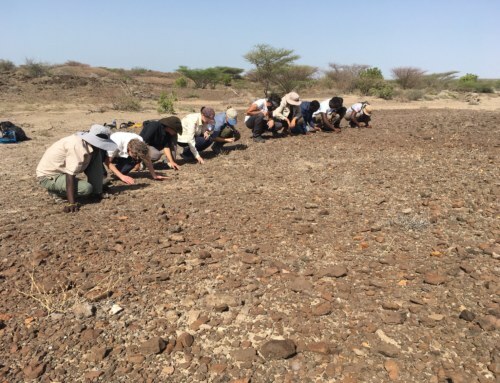 As part of a taphonomy experiment, TBI students in the Spring 2013 field school reluctantly smashed and buried pottery that had belonged to famous paleoanthropologist Mary Leakey! 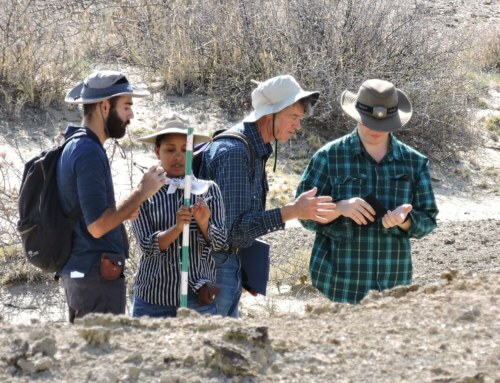 This year, TBI students unearthed the pieces of pottery as an introduction to surveying, documentation, and collection of fossils and archaeological artifacts. 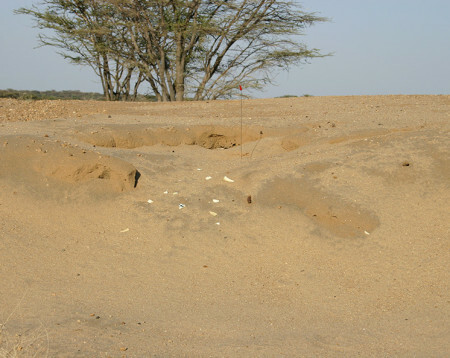 After a brief survey of the area, pieces of pottery were located and appeared to be eroding out of a hillside. 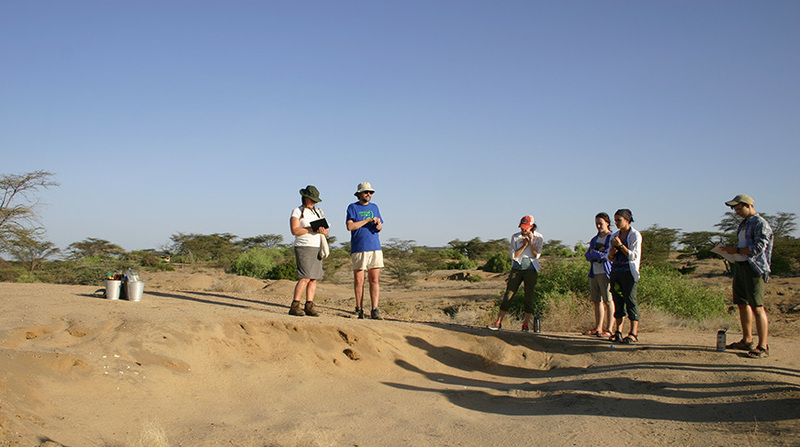 Dr. Fortelius explains the importance of documenting observations of the surrounding area before any excavation. Dr. Fortelius watches as Sam, Dylan, and Rachel dig a small trench next to the pottery in order to examine the subsurface sediment. Students find more crockery beneath the surface! 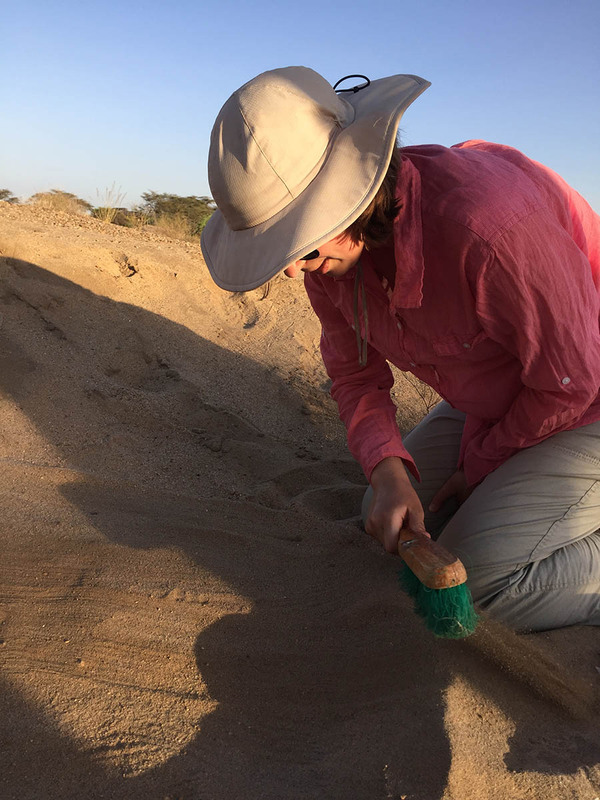 After documenting and collecting a pottery shard from the surface, Kate proceeds to slowly brush aside sediment on the surface in the hopes of finding more pieces. 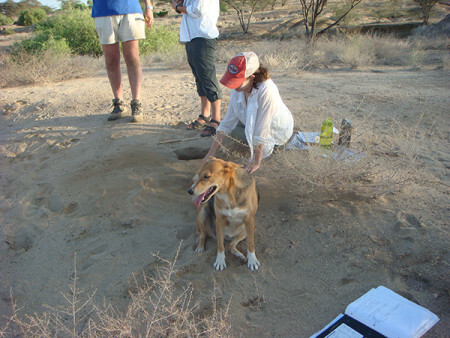 Anna brushing away sediment while Tom (TBI mascot) wonders what everyone is doing. 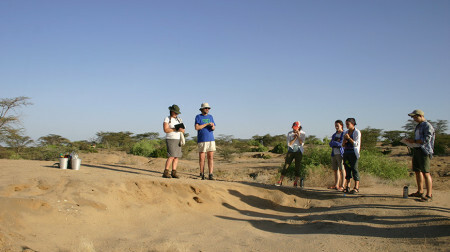 In the end, we learned that if this were a real fossil or archaeological site, we would NOT collect any items. 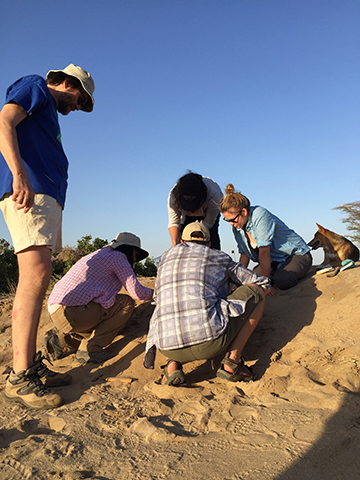 Instead, we would GPS the location and gather data for a later excavation by a professional paleontologist such as Dr. Mikael Fortelius. 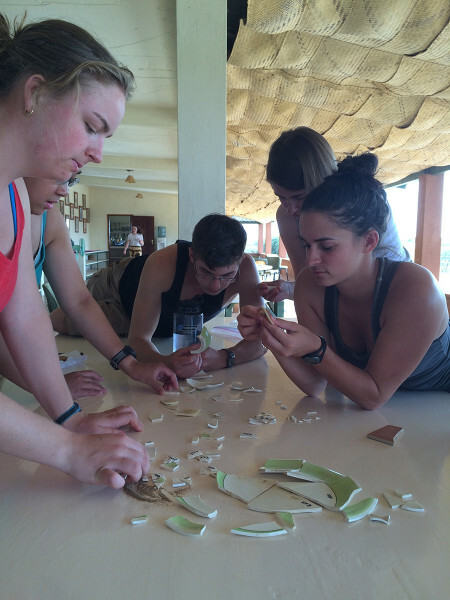 DAY 2- In part two of this investigation TBI students reconstructed the pottery to its original form. Page, Sam, Dylan, Kate, and Jade try to piece together pieces of Mary Leakey’s pottery. 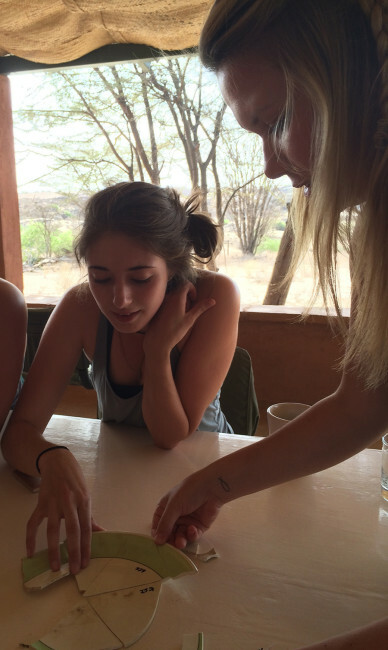 Larisa and Rachel piece together a plate. 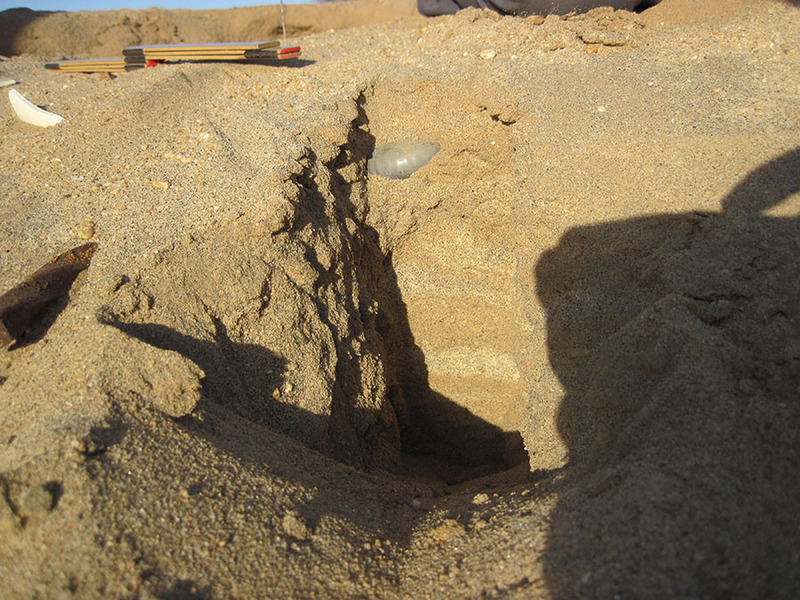 By R. Linda Martín|2017-01-04T18:04:49-07:00February 9th, 2015|Field Schools, Spring 2015|Comments Off on What a crock!